As a patient, you can expect individualized diagnosis and treatment plan for you specific pain. A pain management physician becomes your partner who will work with you to achieve the results you need and deserve. Through an interdisciplinary approach to pain management, Dr. V. K. Puppala provides comprehensive evaluation of his patients, factoring in physical, functional, emotional and psychological needs. His entire Atlanta medical team consists of board-certified pain management physicians, nurse practitioners, registered nurses, x-ray technicians and medical assistants. All members work together to formulate and implement a comprehensive treatment plan to reduce pain and improve function. Dr. Puppala provides cutting edge therapies and treatments for his patients. He is firmly committed to helping people manage their pain, and specializes in obtaining dramatic results in pain management without the need for major surgery. The goal of a pain management doctor is to not only treat pain, but also to alleviate the symptoms of that pain. Dr. Puppala understands that the treatment of pain is not only a physical issue, but an emotional one as well. 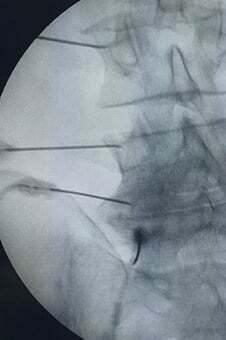 Treatments may include, but are not limited to, medications, injections or other minimally invasive spine procedures. Dr. Puppala treats patients suffering from spine, neck, back, face and nerve injurie and from diseases including diabetes, shingles and cancer. Pain management is considered a specialty. Most primary care physicians have not had the advanced training and board certification needed to treat pain correctly. Dr. V. K. Puppala is board certified in pain management as well as anesthesiology. His interest in pain management was sparked soon after receiving his medical degree from nationally top-ranked Washington University School of Medicine. He was then awarded a student grant from the National Institute of Health to conduct nerve related research under the mentorship of Chief of Plastic Surgery, Dr. Susan MacKinnon. He then underwent additional sub-specialization in anesthesiology at Illinois Masonic Medical Center, and completed his fellowship. Dr. Puppala also believes the importance in continuing his education in pain management as well as being involved with professional organizations. He is active with the Medical Association of Georgia and Georgia Society of Interventional Pain Practitioners. He serves on the Board of Directors of the Cobb County Medical Society, volunteers as a mentor with the Medical Association of Atlanta, and is an active member of the American Society of Interventional Pain Practitioners. Call 770-627-7246 or 770-MAP-PAIN to schedule an appointment today in Villa Rica or Lithia Springs, Georgia.